Our SEM Services, PPC Services Include Keyword Research, Smart Bidding, Advanced Targeting, Ad Design, CRO. We Monitor, Audit, Report, Analyze, Optimize Ad Campaigns. Increase in Visibility, Quality Traffic, Leads, Conversions, Sales, Brand Awareness, Trust Via AdWords Ads, Bing Ads, Yahoo Ads, Social Media Marketing (SMM). B) What do we provide in SEM Services and PPC Services? D) More Important Thing That Google Doesn’t Charge Advertisers For Invalid Clicks. F) Deep insight regarding Online Advertising Network like Google, Yahoo, Bing. Search Engine Marketing (SEM) is one of the main parts of the overall Digital Marketing Strategy and Services we provide. It is mainly used for the promotion of your products, services, Business by increasing their visibility in Search Engine Result Pages (SERPs) primarily through paid advertising and non-paid efforts i.e. with Search Engine Optimization (SEO). Thus SEM can be described as buying traffic through paid search listings. Our SEM Services, depending upon the need of clients, may incorporate Search Engine Optimization (SEO), which adjusts or rewrites website content and site architecture to achieve a higher ranking in search engine results pages to enhance pay per click (PPC) listings. SEO is earning traffic through unpaid or free listings. The Search Engine Management the term sometimes is used as an umbrella term to denote the two branch of Search Network i.e. Sometimes the term Search Engine Marketing is used as an umbrella term which incorporates both paid listings of your advertisements and organic listings. 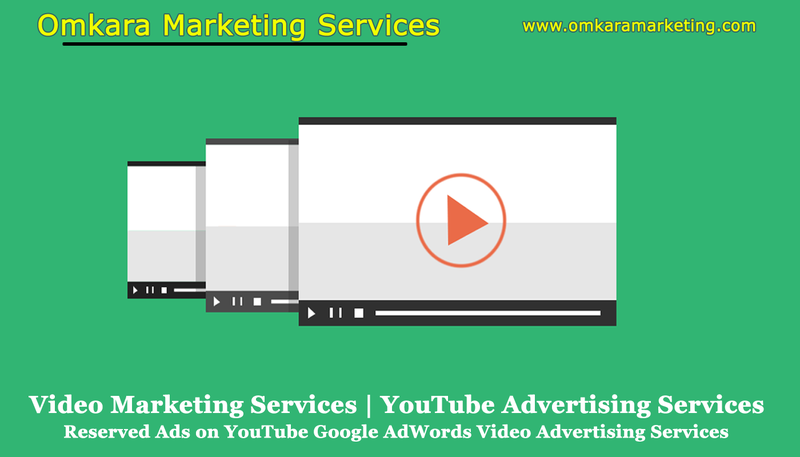 B) What do we (Omkara Marketing Services) provide in SEM Services and PPC Services/PPC Management Services? Actually, PPC (Pay per Click) is not an ad format but is the way an advertiser pay to ad network for displaying the ads. Google AdWords has most of the ad formats or ad networks which run on the pay per click basis. 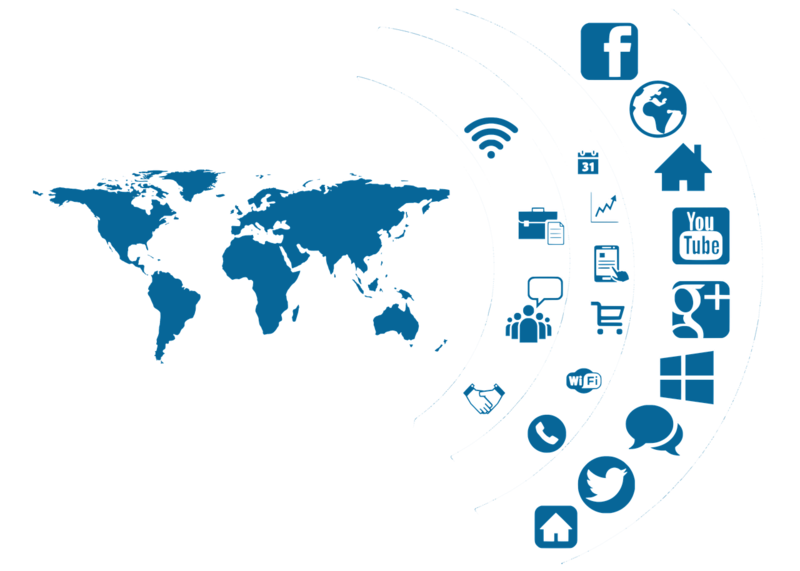 PPC service can also incorporate our Social Media Marketing (SMM) Services if clients demand so. The first step of any paid campaign is to decide the Business Goal for which client approaches us. Depending upon the Business Goal finalized with the clients we then decide the structure of Campaigns to be run for clients. Keywords are the base of any PPC Campaign or Search Engine Marketing. Therefore we are very careful and alert while doing keyword selection after our in-depth keyword research. Conducting an in-depth research to find out the top searched, less competitive, fair budget keywords in the busy schedule for clients is our main task. Our excellent keyword selection often gives the successful results after the campaign is run. Our SEM Services are experienced in creating appealing, eye-catching, engaging advertisements to broadcast your business and its solutions to the target audience. Our PPC or Google Search Network Ad Campaign includes writing of Textual Ad Copy. Which is not charged separately by us. The Ads other than Search Network are Contextual Advertising, Interest-Based Advertising which is also designed by us. In this type of ads, our SEM services run the ad campaign on third-party websites, apps, videos (which are the part of Google Display Network), portals and social media sites that are directly related to the content being viewed, helping ensure that the right audience gets your message. For any other ad formats rather than text ads on Google AdWords Display Network Marketing Campaign Services, Google AdWords Video Network Marketing Campaign Services, Google AdWords Shopping Network Marketing Campaign Services, Google AdWords Universal App Network Marketing Campaign Services , YouTube Network Marketing Campaign Services, Social Media Marketing (SMM) Services Bing Advertising Campaigns, Yahoo Advertising Campaigns, PPC (Pay-Per-Click) Advertisements we have separate Content Marketing Services through which we offer Image, Video, Blog Writing, etc. services. We fix the Budget depending on the Clients’ Business Goal. We also fix and optimize the Bid according to the type of the Campaign and other factors. The Campaign Mapping or Management include the caretaking of the SEM Campaigns/PPC Campaigns. Just starting the campaign is not necessary. Just like if you are having a four wheeler or two wheeler then just to drive it on the road isn’t enough. You must be very clever for its routine maintenance so that it will give you the best services for a long time. In the same manner, just putting the money in the AdWords or Bing or Yahoo Advertising Account is not enough. We provide the SEM Services which care the paid ad campaigns by all the means to make it greatly performing for our clients. For that, we imply proper requisite adjustment in paid ad campaigns to make sure that your business gets an optimal ROI. A/B testing defines the test in which two nearly-identical versions of the same thing and see which one does better. In our case, we offer SEM Services in which we don’t do all our experiments on a single ad. 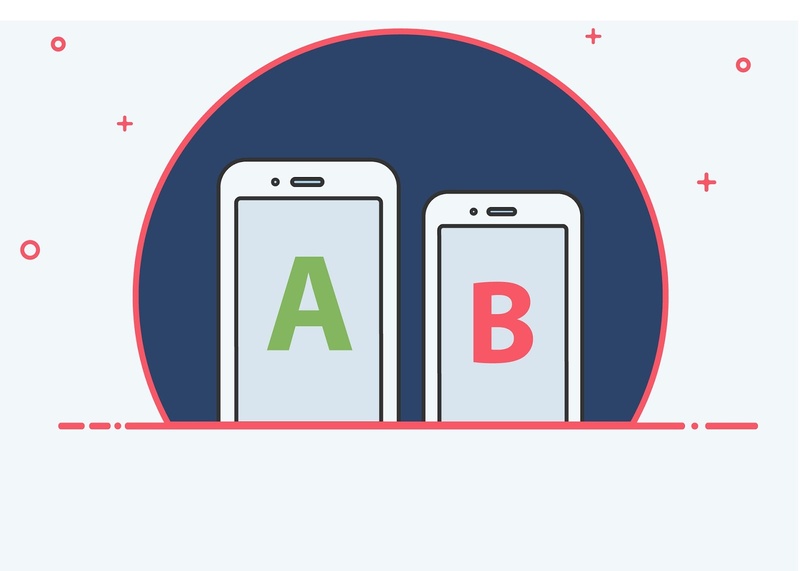 We also use A/B Split testing using two or more than that version of an ad to achieve the business goals with increasing ROI. We heavily rely on the A/B Split Testing because the Internet is the place where everything is changing for a second even. Therefore it will be hazardous for our clients if we rely on something that will work without considering A/B Split Testing Experiments. Such test gives us the clear picture without facing too much cost before taking any initiative in our ad campaign strategy whether it will work positively, successfully or not? We consider how the use of infographics/vectors versus photos of real people will impact the conversions? We consider how adding video to your landing page, a sign-up page will improve results? We consider how better people will respond to headlines focused on action or benefits? We consider how change with the different language, a color of buttons, link placement, etc. will impact the conversion rates for Call to Action (CTA)? We consider how the design of landing page, a sign-up form will impact the user response for those? We consider how modifying the headlines and descriptions will work? 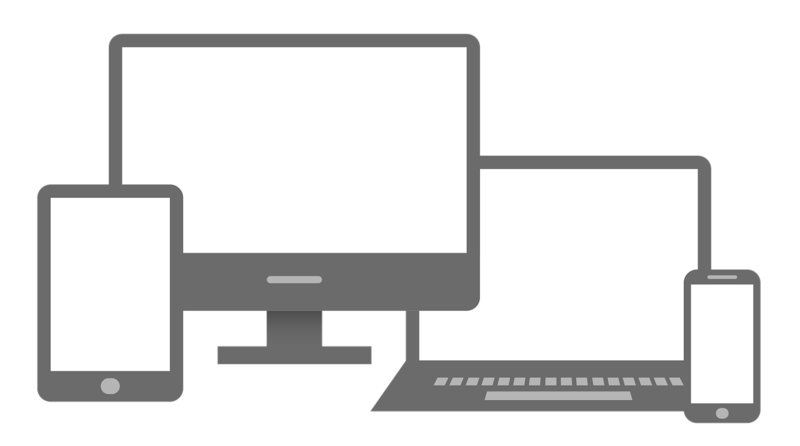 We consider how to use different versions of the landing page to facilitate the conversions on different browsers, different devices. We consider how different ad copies will perform against each other for the same landing page. We consider how different keyword groups will show an effect on campaign’s overall performance. We use Location and advanced location targeting. And the similar type of targeting for Google AdWords Advertising Campaigns, for Bing and Yahoo Marketing Campaigns also. Also, similar types of Targeting also work on Facebook Marketing Campaign, Twitter Marketing Campaign, etc. types of Content Marketing Campaigns Services. We are very punctual in monitoring individual ad campaign of every client no matter how busy we are. We treat every client equally and monitor their SEM Campaign or PPC Campaign. Similarly, we also provide weekly or monthly basis reporting of our SEM services to our clients. We do not hide anything from ou the clients. We have hands-on-skill experts in Google AdWords, Google Analytics, Google Tag Manager who take care of your SEM Campaigns. They share timely reports furnishing detailed information regarding the progress of your SEM Campaigns/PPC campaign. Our SEM services not only work for creating SEM Campaign but also for monitoring, managing, and reporting of those paid ad campaigns to get high visibility for the client business. We also serve the measurable results with the help of regularly updated reports that can be tracked at any time by the client. We provide SEM Services to analyze the effectiveness of PPC Campaigns/SEM Campaigns to find ways to reduce costs and increase efficiency. Our SEM services use Google AdWords, Google Analytics, Google Tag Manager, Facebook Analytics, Twitter Analytics or any other third party analytics to give the exact analysis of our SEM Campaigns to our campaigns. We consider the Analysis as an important factor to make sure our clients that our SEM Campaign is delivering expected results to furnish their Business Goals. 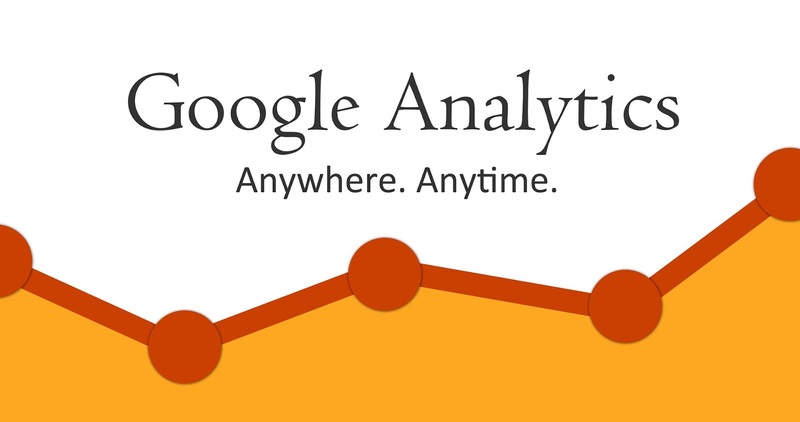 We integrate in-depth analytics as a part of strategic marketing plans. The analytics are used to study parameters such as the keyword searches, user search history, geographical locations, and hardware used. Our SEM Services also look after for securing the marketing budget of our clients so that it won’t get wasted through invalid clicks by any means. We consistently keep watch, monitor the SEM Campaigns to prevent and track if possible who is doing malpractice against our clients to click on the ad as a malicious work to waste clients advertising budget rather than generating leads. We with our SEM Services try to measure every conversion that is possible whether it is online or offline. For the Attribution of those Conversions or Attribution Targeting, e also put complete efforts to list out the attribution points which were the reasons for the conversions so measured. Here we would like to tell our clients that it is not always possible to measure the each and every attribution or more specifically to credit the attribution to every advertising medium which comes in the conversion path. E.g. a user watches a hoarding of your product and then he does some search on Google and then he lands on your website where he purchases a product. Then how will you distribute the Attribution to that Hoarding with perfection? Therefore we always focus on keeping the ROI, ROAS increasing instead of putting our efforts in measuring the credits to the conversions i.e. Attributions. Every Advertising Network considers, including Google AdWords, Facebook Advertising, Bing, Yahoo, etc., the relevance (SEO of Landing Page) and the quality, UI (Responsive Design), UX of your landing page and that of your website also. Whether clients register for our SEO Services and Content Marketing Services or not, we still continue to advise about the enhancement of the landing pages that will be used by us in SEM Campaigns or PPC Campaigns. Our SEM Services or PPC Services ensure that landing pages used for paid ads are enough capable to create an instant connection with their customers and in turn generate interest and conversions. After you run SEM Campaigns or PPC Campaign we will be able to provide you the analysis of how your competitor(s) performed during the same Ad Auction in which clients have also participated. Google AdWords provides this feature. We also create an account on Google AdWords, Bing, Yahoo, and Social Media for Advertising purpose. When people leave your site without buying anything, for example, remarketing lists for search ads help you to connect with these potential customers when they continue looking for what they need using Google Search. You can set your bids, create ads or select keywords, bearing in mind that these customers have previously visited your website. Now that you've created a campaign, it's time to measure your ad performance. You can analyze basic account, campaign and ad group information using the different data and reports available in AdWords. 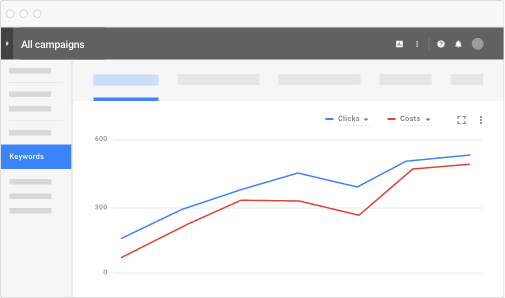 There are also advanced reports that go beyond the number of clicks or impressions that you're getting, allowing you to see the impact that AdWords has on your business. We also provide the advice related to SEM or PPC to any team which is already running the SEM Campaigns or PPC campaigns for clients. We are also capable to provide the SEM Campaign Services and PPC Campaign Services to the Affiliate Marketers if the same is allowed legally from the Company to which they are attached as Affiliate. Clients always have a question i.e. what if someone or their competitors do some malpractice with their ads like purposely clicking on their ads to waste their advertising budget. What will happen to advertise budget which wasn’t used for serving the AdWords ads to the real potential users? Google considers any click on your ad to be illegitimate, such as unintentional clicks or clicks resulting from malicious software. Google considers manual clicks as invalid clicks if they are intended to increase your advertising costs, run out your advertising budget or to increase profits for website owners hosting your ads. Google considers clicks by automated clicking tools, robots, or other deceptive software as invalid clicks. Google considers extraneous clicks as invalid clicks that provide no value to the advertiser, such as the second click of a double-click. Thus Google’s Machine Learning Algorithm is smart enough so that each click on an AdWords Ad is examined by their intelligent sophisticated system to identify invalid clicks and even impressions also and remove them from your account data. When Google determines that clicks are invalid, they try to automatically filter them from advertiser’s reports and payments so that advertiser is not charged for those clicks. Then too if such invalid clicks have been escaped automatic detection, an advertiser may be eligible to receive a credit for those clicks. These credits are called "invalid activity" adjustments by Google AdWords. Our SEM Services Are Transparent To Every Client. Our SEM Services Give Complete Justice To The Advertising Budgets Of Our Clients. Our SEM Services Have Good Accountability. Our SEM Services Easy And Quick To Execute/Implement. Our SEM Services Are Technically Simpler Than SEO. Our SEM Services Provide Immediate Results. Our SEM Services Provide Immediate Traffic. Our SEM Services Generate Consistent Traffic. Our SEM Services Try To Maintain The Lowest Costs Per Customer Acquisition. Our SEM Services Boost Our Clients’ Site To Rank On The First Page Of Google. Our SEM Services Helps In Branding To Maintain Your Reputation. Our SEM Services Provide Excellent Remarketing As People Who Click On Paid Search Ads Are Readily Interested In The Subject Related To Your Ads. Our SEM Services Also Provide SEM Analysis. Our SEM Services Is Easiest And Fast Way Of Promotion. Our SEM Services Unless The Ad Is Clicked. Our SEM Services Will Try To Put Our Complete Efforts To Give First Page Exposure In The Top 3 Search Engines For Our Clients. Our SEM Services Deal With The -Targeted Ads. Our SEM Services Give The Complete Benefits Of Testing-Testing Keywords And Promotions I.E. Of A/B Split Testing. Our SEM Services Increase The Reach Of Your Brand. Our SEM Services Increase The Relevancy. Our SEM Services Provide Flexibility To Optimize Any Campaign, Almost. Our SEM Services Are Cost Effective. Our SEM Services Give The Benefits Of Geo-Targeting, Language Targeting, And Ad Scheduling To Our Clients. Our SEM Services Provide Perfect Tracking. Our SEM Services Try To Maintain Complete Control Over The SEM Campaign. Our SEM Services Provide The Excellent Campaign Measurement. Our SEM Services Provide The Measurable Results. Our SEM Services Also Give The Idea About How Our Competitors Are Doing Against Our Ads In The Same Ad Auctions. Our SEM Services Increase Brand Awareness And Brand Equity Of Product/Services/Business. Our SEM Services Increase Quality Traffic To Web Site. Our SEM Services Provide The Remarketing Feature i.e. Advertise To An Audience That's Already Interested In You. Our SEM Services Market Clients’ Services Or Products Online 24/7. This Then Makes Company Operating Services Available 24/7. Our SEM Services Increase In Targeted Leads. Our SEM Services Target Ads To Users Based On Languages And Locations, Time Schedule. Our SEM Services Provide Greater ROI — Compared To Other Advertising Media, Paid Search Strategies Are More Efficient. With Our SEM Services Small, Medium And Large Scale Companies Can Save Excessive Marketing Costs Resulting In A Better Return On Investment (ROI). When we talk about Search Engine we suddenly recall no one but Google. Obviously, Google has the biggest Network which is often called as “Google Network” where SEM is practiced. Google is the world’s largest search engine and hence Google Ad-Words is, from many aspects, the most popular paid search platform and non-paid organic listing platform used by the marketers, advertisers all over the world, followed by Bing Ads, which also serves a significant portion of ads on Yahoo. Advertisers may bid on certain keywords or may choose automated bidding option in order for their clickable ads to appear in Google's search results. Advertisers usually pay for different formats of ads like text ads, image ads, video ads, responsive ads, gallery ads, etc. to display brief advertisement, product listings ads, image ads, rich ads, and video content within the Google Advertising Network to web users. With Google AdWords, your ads can show on the Google Search Network or/ and the Google Display Network. The campaign type that you choose determines which of these networks your ads will appear on. The Google’s Search Network comprises of the Google Search, other Google’s sites such as Google Maps and Google Shopping, and hundreds of non-Google search partner websites that show Google AdWords Ads matched to search results. Show their text ads next to Google search results. Show their Products Listing Ads next to Google Search Results. Reach customers actively searching for their specific product or service through the paid ads or organic listing. 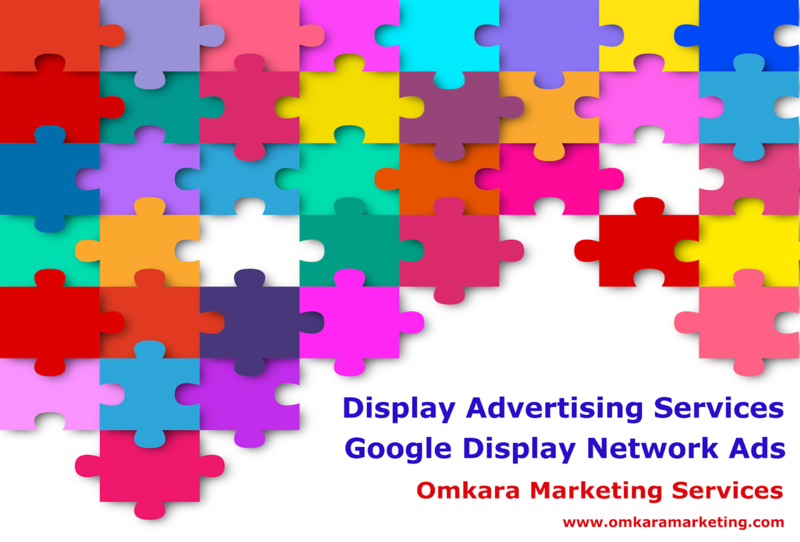 The Display Network comprises of the collection of Google websites (like Google Finance, Gmail, Blogger, and YouTube), partner sites, and mobile sites and apps that show AdWords ads matched to the content on a given page. Choose more specifically when their ads can appear, where their ads can appear, and to what type of audience using various options like interests, demographics, placements, etc. Moreover, Google AdWords also allows to run Campaigns for Video Contents, on Video Websites like YouTube, Ads to promote Mobile App in third Party Mobile Apps and Shopping Ads to promote large inventory of products whether it is online or in store. PPC (pay-per-call) – the ads which are particularly served to mobile search users or optimized to show click to call button to the mobile users, may be charged by the number of clicks that resulted in a direct call from a smartphone. Our Digital Marketing Services lets you target your ads with the help of Google AdWords to the type of customers you want (likely to be interested in your products or services), and filter out those you don't. Google AdWords allows you to advertise online using different targeting methods like keywords, interests of users, demographics, placements, etc. to reach potential customers right when they're searching for your products or services. Take action on your website e.g. fill a form, purchase a product via the payment gateway, etc. Be seen by customers at the very moment that they’re searching on Google for the services or products you offer. And only pay for performance i.e. when the users actually click on your ads to visit your website or call. Our SEM Services are for our clients, whether they are looking to increase the traffic to a website, grow sales, increase ROI, get more phone calls or keep customers coming back for more, using Google AdWords. 2) Reach the right people at the right time, with the Right Message, Every Time! We help, your products, services, business get found by people on Google precisely when they’re actively researching for the things that you offer or exploring the web through surfing the websites. 3) Advertise locally or globally. Our SEM Services can Target ads for our clients to reach their potential customers in certain countries, regions or cities — or within a set distance from your business or shop. 4) Choose how you want to reach your customers. We serve our SEM Services with text-based search ads, shopping ads, responsive ads, native ads, graphics display ads, YouTube video ads, or in-app mobile ads, you have plenty of ways to reach your target customer with AdWords. Google AdWords allows advertisers to reach their potential customers even if they are within a few kilometers of business. It also allows to broadcasts ads to entire regions or countries. 8) Take the guesswork out of advertising. 9) See how your ads are doing. With AdWords you will see how your ads are performing, how many people are shown your ads, how many people clicked on your ads, visit your website, or call your business. You can even target specific types of people if your business is specialized. 10) Put your ads to the test. 11) Stay in control of your budget. 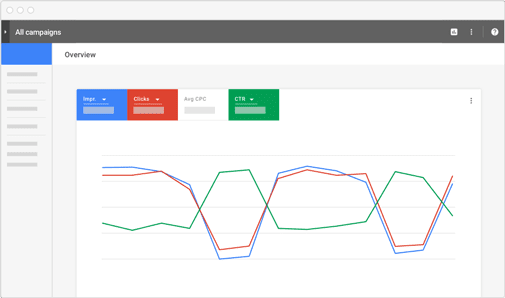 Google AdWords allows advertisers to adjust their advertising budget whenever they want. There is no minimum amount that is made mandatory. Advertisers can pause, cancel or end AdWords Advertising campaign anytime without cancellation fees. See what’s working on your ad campaigns, what requires your attention, which needs optimization, and if there are any new opportunities with at-a-glance reporting for your campaigns. Our SEM Services allow clients to reach the right customers, with the right ad copy at right time and stay on top of their business goals with easy-to-use campaign management tools with excellent planning and improve results. Our SEM Services help to stay focused on what matters to increase clients’ ad campaign performance to get your most important work done — like creating ad extensions and monitoring performance — in one place. Our SEM Services help clients to build marketing campaigns that meet their business needs without any of the guesswork — manage campaigns based on your goals, whether you’re looking to drive website visits or phone calls. Registration or Signing up for Google AdWords is free. Clients have to pay when someone clicks their ad to visit the website or calls you i.e. when advertising is working. 17) Start with any budget. We set the budget for our clients to run their Google AdWords Advertising Campaigns. It helps so their advertising costs will depend on what they are trying to accomplish with this advertising. There is no minimum which required to start your Google AdWords Campaign. 18) Stay within your budget. Signing up for AdWords is free, and you’ll only pay when your ads are working. 20)Only pay for ads that pay off. AdWords for Search-based ads in Search Network don’t charge advertisers for displaying ads. Instead, advertisers pay only when someone clicks their ad, views video on YouTube, or calls your business. As for setting a budget, it’s your call. Some businesses may spend lakhs of rupees a month, and others spend just several thousand. So it’s completely the matter of need of business. Content (Image, Info-graphics, Blog Posts, Texts, Videos, etc.) required won’t be created by us for Search Engine Marketing (SEM) Service. We can provide Content only through Content Marketing Services.